Pest Control in Marietta | Exterminator in Marietta | Got Bugs? Do bugs in your house have you on edge? With our pest control in Marietta, we'll utilize the most pest treatments coupled with prevention techniques to ensure your home and family stay safe from pests for good! We understand how uncomfortable is to have pests in your home. Our friendly exterminators in Marietta will not only eliminate your pest problems, but we'll walk you through the process, available treatment plans, and prevention methods to give you the peace of mind that you deserve. When you partner with Got Bugs for pest control in Marietta, you can rest assured knowing you're in the best hands possible! The best way to protect your home from pests is to prevent them from ever getting inside in the first place. Our exterminators in Marietta are trained to inspect both your home’s interior and exterior to identify possible entry points and to determine our best treatment plans for your needs. By treating the interior for any problems and sealing cracks and crevices to prevent future pests from finding their indoors, we ensure protection for the long-term. With our pest control in Marietta, we'll keep your family safe from ants, roaches, mice, rats, spiders, beetles and much more. So whether you currently battling a pest infestation or simply want to prevent one from ever occurring, Got Bugs can help. We're so confident in what we do that we back all of our recurring pest services in Marietta with our 100% guarantee. If you find pests in your home in between visits, we'll return between regular visits at no extra cost to you. Your satisfaction is our priority! We know how important it is to keep your loved ones safe from harm, including potentially dangerous pesticides. 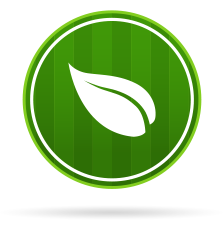 That's why our Marietta pest control treatments are eco-friendly, ensuring the protection of your family and your pets! When you choose our expert pest control in Marietta you can trust that your home is both protected from bothersome pests and is a safe environment for your kids to play and live. Great Reviews and Years of Experience! Our team of exterminators here at Got Bugs are your local experts when it comes to pest control in Marietta. We are locally owned and operated and have been serving our neighbors just like you for over 10 years. When you choose us for your Marietta pest control, you can trust that you're in the best hands possible to handle your pest problems. Don’t believe us? Check out our Google+ rating of 4.9 and see for yourself! Are you worried that your home might have possible termite damage? The worst thing about termite infestations is that they are not easy to detect unless you have a professional perform a thorough termite inspection. Often times, before you even notice them, they have already caused significant damage. Our termite control & treatment in Marietta can help put your mind at ease. We offer customized termite treatment and prevention plans that will eliminate existing infestations and prevent termites from returning to your home! First, we'll perform a complete termite inspection of the wooden structures surrounding your home to ensure that infested and damaged areas are thoroughly treated. We'll then develop and execute a custom plan to meet your home’s unique needs and follow up with regular visits and additional treatments if needed. This will ensure that your home remains termite-free for the long-term! When it comes to termite protection, you don't want some cookie cutter, blanket approach. Termites put your investment in danger, so you want to feel safe and secure knowing your home is being cared for by a team of expert exterminators. Our qualified Marietta termite exterminators are highly trained to inspect your home and search for unique designs and structures that could provide potential entry points for termite infestations. We'll look for telltale signs of damage and will develop a customized treatment plan to ensure every existing termite is eliminated. We use liquid barrier treatments, bait stations, and regular visits to make sure you have the peace of mind you need knowing that your home is protected from these harmful pests! A Termite Free Home: Guaranteed! Once we have eliminated each and every termite with our effective termite treatments in Marietta, you won't have to worry about another infestation. We provide qualified homes with a $1 million guarantee to ease your mind of future termite troubles. Don't let termites cause unnecessary stress - with Got Bugs on your side, you're in good hands! If mosquitoes are keeping your family inside and preventing you from enjoying the outdoors, it’s time to take back your yard. With our professional mosquito control in Marietta, you can get rid of mosquitoes in your yard and prevent them from returning in the future - leaving you with a mosquito-free yard for everyone to enjoy! We will first begin with a thorough inspection of your yard by one of our friendly exterminators. Next, we will treat your yard and completely eliminate existing adult mosquitoes. Lastly, we use the nature of the mosquitoes against them to make sure they don’t become a problem again! Understanding the nature and rapid breeding patterns of mosquitoes is key in eliminating them. Our mosquito control in Marietta breaks the reproductive cycles, stopping mosquitoes before they can start. Our exterminators in Marietta understand the importance of keeping mosquitoes away from your home throughout the entire warm season. Our mosquito reduction program treatments are timed preemptively to strike against mosquitoes just before their activity is predicted to start. We destroy breeding grounds and lingering adults and follow each mosquito treatment in Marietta with an inspection to ensure all pests are gone for good. Rodent infestations can lead to costly damages for your home and become a threat to your health. 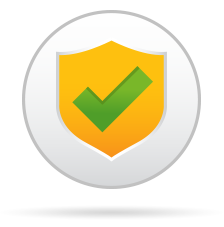 Here at Got Bugs, we put the protection of you and your family first! If you suspect an infestation from rodents such as mice or rats, don’t wait! Give us a call as soon as possible. The faster your rodent problem is taken care of, the better for your health and home. Provide a detailed inspection of your home. Create a unique treatment plan specifically designed for your needs. Leave you with a rodent-free home, guaranteed! Battling rodents on your own can be a tricky thing, especially if doing so with DIY methods. For effective rodent removal in Marietta, trust the professionals. Our trained rodent control technicians have the experience and knowledge to eliminate all of the rodent threats from your home and keep them out. Here at Got Bugs, we have been providing the best rodent control in the business for over 20 years now. 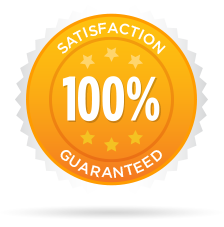 We’re so confident in our Marietta rodent control that we offer a satisfaction guarantee! If you are ever unsatisfied with the service technicians provide or have noticed rodents after we treat, let us know. We will come back and retreat your home at no extra cost to you. Team up with our Marietta rodent exterminators to live a rodent-free life! If you're ready to get rid of pests once and for all, let us help.